A Washington state lawmaker is going after 2020 hopeful Jay Inslee over what his spokesman recently said. That contradicted what state officials said when rejecting those terminals and the jobs they would have created. Washington Gov. 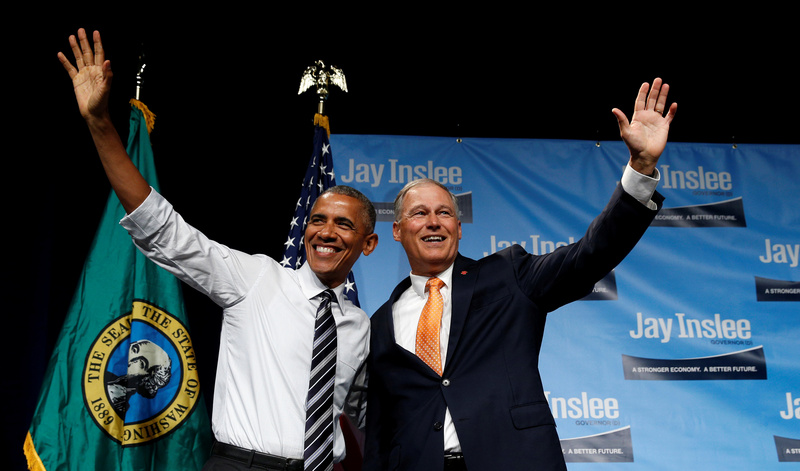 Jay Inslee’s spokesman may have created some complications for the Democratic 2020 hopeful by painting him as a leader in killing coal and oil export terminals planned along the west coast. That set off alarm bells for Washington state Rep. Jim Walsh, a Republican, who said it contradicted the Inslee administration’s claim they followed “the letter and spirit of the law in reviewing critical infrastructure projects,” like coal export terminals. That includes Washington state’s high-profile rejection the Millennium Bulk Terminals’ proposal to build the largest coal export terminal in the U.S., which would have been in Walsh’s district. 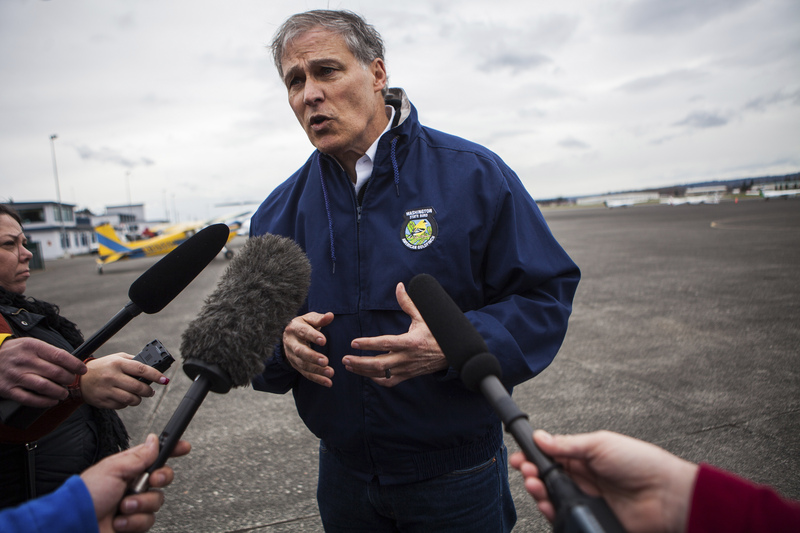 Inslee critics at the time saw it as part of the governor’s climate, anti-fossil fuels agenda. “Now, a boastful quote in an industry trade magazine confirms what many of us have suspected,” Walsh told The Daily Caller News Foundation. “Governor Inslee — and not some faceless bureaucrat — played a direct role in subverting our regulations with the explicit goal of denying any project that didn’t adhere to his political agenda,” Walsh said of the state’s 2017 decision. Washington Governor Jay Inslee talks to reporters about ongoing recovery operations for the Oso mudslide, at the Arlington Municipal Airport in Arlington, Washington April 3, 2014. REUTERS/Max Whittaker. Raad’s remarks were meant to fend off criticisms that Inslee, who may run as the “climate candidate” in 2020, has largely failed to implement climate policies championed by the left despite governing a blue state. Washington state officials denied a Clean Water Act permit to build the Millennium terminal, which would have shipped 44 million tons of coal annually to customers in Asia and provide a vital lifeline to Montana’s struggling coal industry. Washington’s Department of Ecology Director Maia Bellon, however, said the project presented “too many unavoidable and negative environmental effects” to warrant approval. Millennium’s developer, Lighthouse Resources, quickly filed suit against the state alleging a “biased and prejudiced decision-making” process. However, Bellon said the decision by-the-book and not political. “I feel very strongly that is a solid decision and feel in no way that it was arbitrary,” Bellon said of the state’s decision to block the Millennium terminal. A federal judge dismissed the Millennium lawsuit late last year. “The governor’s latest talking point is a slap in the face to the thousands of hard-working individuals in southwestern Washington who need projects like Millennium to feed their families and pay their bills,” Walsh said. “We now know Inslee lied as he looks to boost his profile and presidential ambitions,” Walsh added. Inslee’s office told TheDCNF they were “confident in the process that the Washington State Department of Ecology is engaged in” to reject the Millennium and other terminals. Spokeswoman Tara Lee also said Raad represented Inslee’s political campaign, not his state office. “The spokesperson was on the political side of the governor’s operations, not related to the communications team in the Office of the Governor,” Lee told TheDCNF. 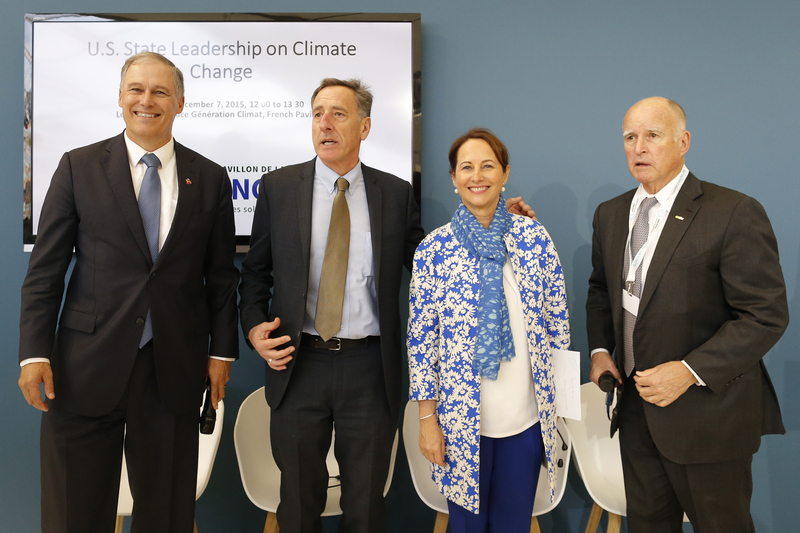 (L-R) Washington Governor Jay Inslee, Vermont Governor Peter Shumlin, French Ecology Minister Segolene Royal, and California Governor Edmund “Jerry” Brown pose before a meeting during the World Climate Change Conference 2015 (COP21) at Le Bourget, near Paris, France, December 7, 2015. REUTERS/Stephane Mahe. Not all Inslee’s critics agreed with Walsh’s assessment of the situation, but agreed the Department of Ecology’s rejection of the Millennium terminal was biased and based on politics, not science. Myers said Inslee’s administration made Millennium jump through hoops that no other project had to in order to get a water quality permit. For example, state regulators took into account things that had nothing to do with local water quality, including global emissions from coal combusted in Asia. On the other hand, Myers noted, state regulators do not make Boeing account for the global impacts of its airplanes, nor do they ask Amazon for a carbon accounting of the fuel it uses to deliver packages around the world. Adam Davis, business agent for the local plumbers and pipefitters union in Longview, agreed the process “lengthy and biased permitting process” to block the Millennium terminal. Davis said his union supported Inslee in his gubernatorial bid in 2013, but he’s not sure they will support Inslee’s re-election bid or even a potential presidential run. “If he continues to send the message that he’s the climate change candidate, given what we’ve seen here, it’s probably not something we’d support,” Davis said.